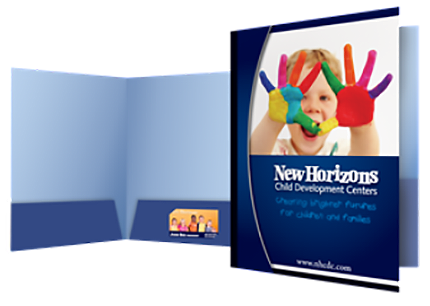 Look professional and prepared with pocket folders that complement your promotional materials. Whether you use them for conference handouts, product literature, business proposals or press kits, pocket folders are an excellent way to bolster your brand while keeping important information tight and tidy for your team members or clients. If you need more than just a pocket folder, we can create a corporate identity package with an integrated system of business cards, brochures, letterhead and envelopes . Call us or stop in and we’ll get down to business, promoting your business.